Christmas in Icelandic is Jól, which was celebrated in Iceland long before it became a Christian nation. During pagan times, December 21st, the shortest day of the year, was when people gathered to celebrate the turning point towards longer days, a very significant moment in such Northern latitudes. Nowadays, Iceland is becoming a popular travel destination during Christmastime and with good reason. During the winter season, there is an excellent chance to see the Northern Lights, experience the breathtaking landscape in a blanket of snow, and take part in some cosy, cultural traditions. Harpa Concert Hall will hold over 35 concerts around the holidays this year including an Italian Baroque Christmas Concerto and concerts by the Icelandic Symphony Orchestra and individual singers such as Bubbi Morthens, an Icelandic music legend, will play Christmas songs. Each Saturday, there is also a family program. The Christmas buffet in Iceland consists of a traditional array of Icelandic food commonly eaten around the holidays. There are many restaurants now offering a Christmas buffet to travellers during the holidays so they can experience it as well. The buffet includes food such as smoked lamb that is boiled, sliced, and served cold with potatoes. Also, find the traditional laufabrauð, or leaf-bread, a very thin and deep fried piece of bread that is usually designed for the whole family weeks before with everyone sitting down together to carve intricate patterns in the dough. There are a few Christmas markets in Reykjavik. The main one, at Ingólfstorg Square in downtown Reykjavik, is transformed into Yule Town each December. Yule Town offers a wide selection of local, hand-crafted gifts, decorations, artisanal food, and an ice-skating rink in the middle of the square. Yule Town is usually open December 2-23. On November 27, 2017, between 3:30 pm and 5:00 pm, the tradition of lighting the Oslo Christmas Tree will continue as it has for many decades. The lighting of the tree marks the beginning of Reykjavik´s Christmas preparations. Each year, many people gather under the tree to celebrate. Located in Reykjavik City Hall from early December to early January, the Children’s Christmas Workshop allows families to sit down together in a community atmosphere and create their own Christmas decorations to take home while enjoying the festive surroundings. 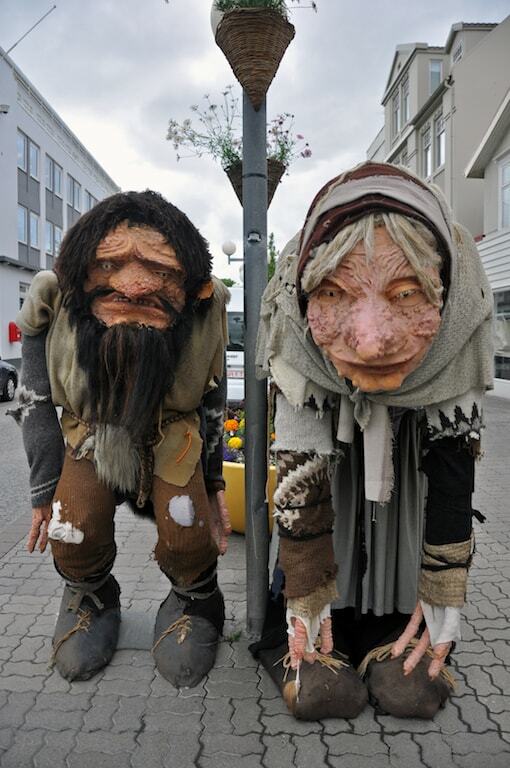 Since 2010, the city of Reykjavik has been promoting Iceland’s storytelling tradition by including the Christmas elves and other creatures, such as Grýla and Leppalúði, the parents of the 13 Icelandic Santa Clauses, and their very scary Yule Cat in events that share local folklore. 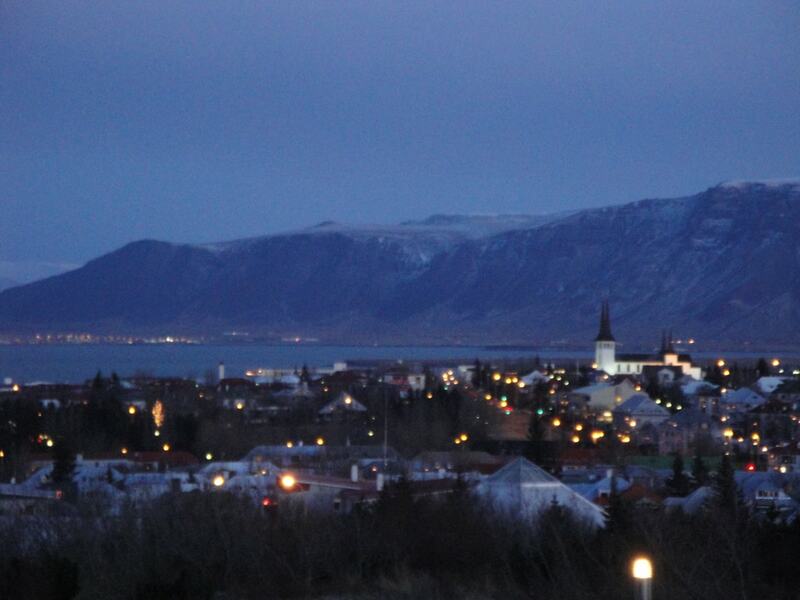 The whole downtown area of Hafnarfjörður becomes one large Christmas Village around Christmastime. The local children are in charge of decorations while the local schools provide entertainment like singing and theatre. There are also various street vendors selling handmade crafts as well as street food and drinks. The Christmas Village opens late November and is open on weekends until Christmas. The Reykjavík Botanical Gardens provide a very cosy atmosphere during the holiday season. The garden paths are brightly lit with Christmas lights and decorations that enchant, especially during a snowfall. Christmas is celebrated beginning at 6:00 pm on December 24, the time most people go home for big family gatherings. 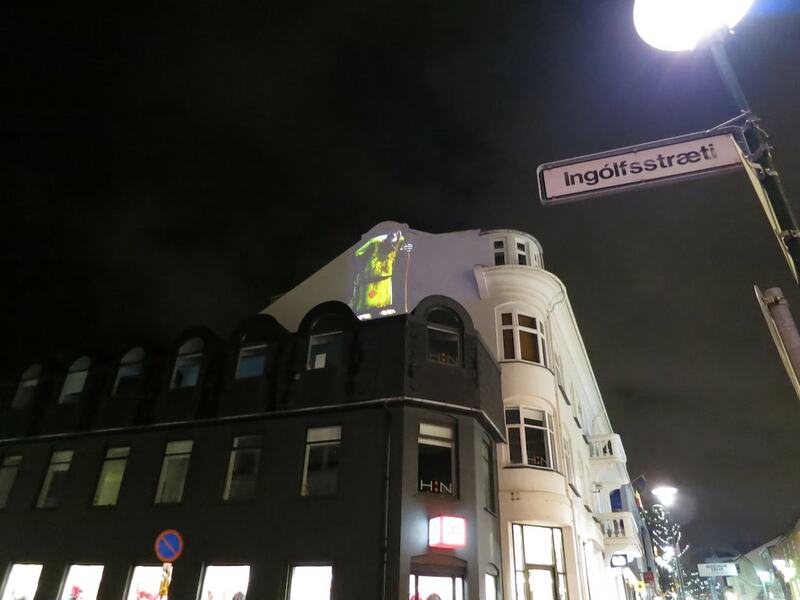 However, on the evening before Þórláksmessa, shops, bars, and cafés located downtown are open until midnight. It is a popular time to gather downtown with friends, buy Christmas presents, drink hot chocolate, and mingle around. 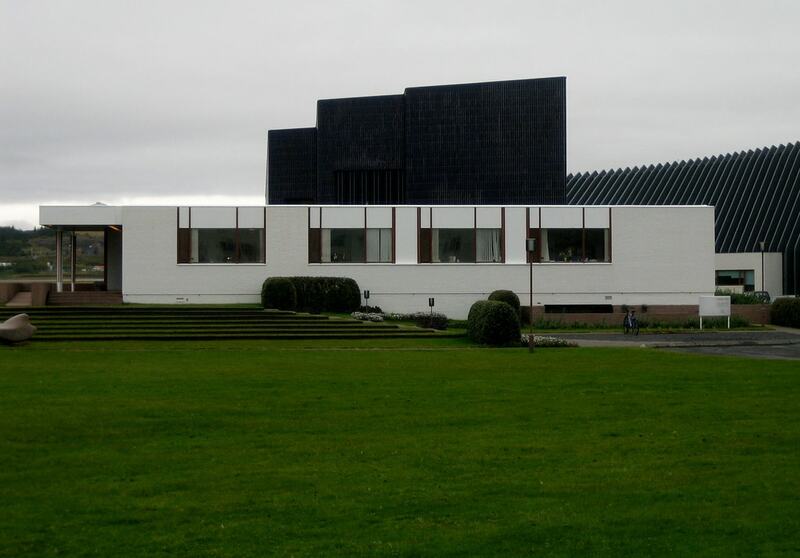 The Nordic House offers a variety of events over the holidays including exhibitions and concerts. Eat at the excellent Aalto Bistro, named after the Finnish architect, Alvar Aalto who designed the building. Enjoy the beautiful Nordic design in this unique building. The annual Crafts & Design Christmas Market and the Christmas tree sale in Heiðmörk Woods, located on the outskirts of Reykjavík, is open on weekends about a month before Christmas. There is plenty to see at this market that mainly sells hand-crafted items. Each day when the market is open, small bonfires are lit and people read Christmas stories to children. The Icelandic Santa Clauses, or Yule Lads, often make appearances as well. New Year’s in Iceland is notorious for their robust display of fireworks. The fireworks can be seen from anywhere in the city, but some of the best places are around Hallgrímskirkja and Perlan. One reason for such a robust display is because all fireworks are bought from the Icelandic Search and Rescue team, a volunteer mission, who receives most of their donations from the sale of New Year’s fireworks. After shooting fireworks at midnight, bars are open nearly the whole night.